Below is a list of resources that I recommend for an introduction to secular, atheist, naturalist, skeptical, and counter-apologetic arguments and positions . This list serves only as an introductory bibliography, and does not encompass every book, article, or website that I would recommend on the individual topics discussed. Arguing About Gods (by Graham Oppy): Apologists often brush off the critiques of religion by new atheists, such as Richard Dawkins, by claiming that atheists do not understand philosophy of religion and theology. In this excellent resource, however, professional philosopher of religion Graham Oppy compiles a comprehensive overview of all of the common theological arguments for God throughout history and provides counter-arguments to each. Need a rebuttal to Anselm? How about to Aquinas? Or how about to Plantinga and Swineburn? Atheist philosopher Oppy delves into the most arcane issues of philosophy, so that no matter how far theological arguments go down the rabbit hole, there will always be an atheist rebuttal. 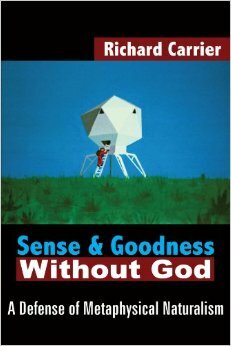 Sense And Goodness Without God (by Richard Carrier): This book offers a comprehensive philosophical worldview–pertaining to issues of metaphysics, epistemology, cosmology, morality, and aesthetics–written by a historian of science and ancient philosophy. Carrier provides a great introduction to a number of complex topics in philosophy, such as the origins of our universe, the nature of reason, abstract objects and universals, freewill, and grounding a normative system of ethics. The book likewise provides additional bibliographies in each chapter for further reading. Apologists love to posit, “How do you answer the big questions in life without God?,” assuming that their religions have all the answers. Instead, Carrier provides a comprehensive naturalist worldview that eliminates the need for god/s or the supernatural to explain anything. Natural Atheism (by David Eller): We are all born atheists before being pressured to convert from a variety of religious memes in our environment. Few of us live as lifelong atheists, but many later deconvert when they realize that nothing in their life experience corresponds to the worldview taught by their religion. Anthropologist David Eller rebuts the common arguments used to defend theism and belief in a deity, explores new methods of sound reasoning, and offers tools for reclaiming one’s natural atheism. 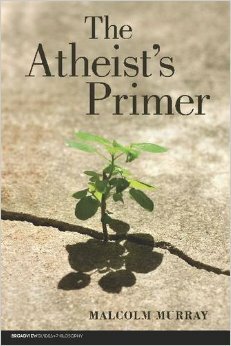 The Atheist’s Primer (by Malcolm Murray): Need a one-stop-shop to the answer or why there is no God? Philosopher Malcolm Murray provides a comprehensive guide to rebutting every common argument for a deity. 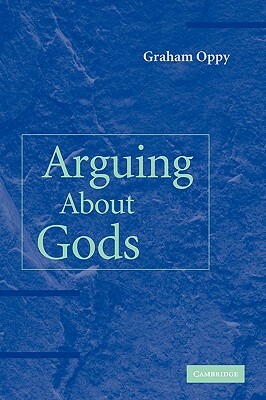 From ontological arguments, cosmological arguments, and teleological arguments to Pascal’s wager, this book provides a great resource for engaging theists in debates and countering stock apologetic slogans. The Philosophy Gym (by Stephen Law): Philosopher Stephen Law provides an excellent set of questions and mental exercises for exploring important issues of philosophy. Some good examples are Law’s discussion of the improbability of miracles and a discussion of how physical machines can think just as humans do. Law illustrates the issues by staging entertaining conversations between characters arguing from different perspectives. This book provides a great beginner’s guide to philosophy. Philosophy of Science: A Very Short Introduction (by Samir Okasha): I got an audio copy of this book to listen to on my morning commute to UCI. It started off a bit slow, but as it moved forward in the chapters I really started to enjoy it. Contrary to my expectations, there is a lot more philosophy in this book than science. Or rather, science provides the backdrop of the issues that are explored, which are genuinely philosophical rather than scientific problems. The book is also fairly rigorous, despite being written for laymen, and Okasha assumes a good deal of critical thinking on the part of the reader. Okasha deals with issues like the problem of induction, subjective versus objective views of probability, scientific realism versus anti-realism, and the objectiveness of scientific causality. The book presents arguments on both sides and seldom concludes a chapter with any definitive answer, which can be a little disappointing when the reader favors a particular side. 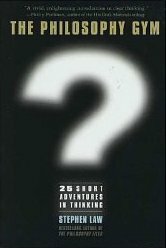 However, the best part of the book is that it raises a lot of good questions that provoke philosophical thinking. The New Oxford Annotated Bible: Need a commentary that lays out the last 150 years of critical biblical scholarship all at an affordable price? Look no further. The OAB compiles biblical research from serious academic institutions, rather than conservative evangelical universities with doctrinal statements, and shows where mainstream biblical scholarship stands on major issues. This includes recognizing that many of the authorial attributions in the Bible are wrong, multiple books are pseudonymous, and the Gospels are not eyewitness histories. While I do not always agree with some sections of the OAB, especially when it uses sensitive language to avoid offending religious groups (e.g. calling the forged books of the Bible “pseudonymous” rather than just “forged”), it nevertheless provides an excellent authority for understanding mainstream biblical scholarship. 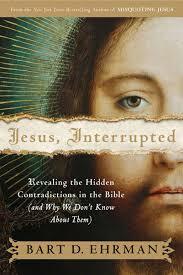 Jesus Interrupted (by Bart Ehrman): In this book Ehrman deals broadly with the historical problems of the New Testament, ranging from contradictions to unknown authors to legendary developments and Christian inventions. This is a great introduction for anyone who wants to get caught up on common knowledge in mainstream biblical scholarship. The book also provides a general overview for why many of the stories in the New Testament are of doubtful historical reliability. 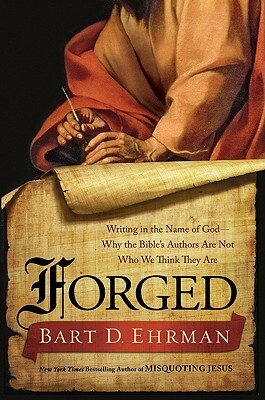 Forged: Writing In The Name Of God (by Bart Ehrman): Just like many other religions Christianity was founded in a bed of deliberate falsehoods, lies, and forgeries. Ehrman explores examples of forged Christian works both inside and outside of the Bible. One thing that should be clear at the end is that, at least for secular interpreters, it is not unreasonabe to doubt that the Bible is a divinely inspired work, as many of its books were likely written by authors who were deliberately deceiving their audiences. Misquoting Jesus (by Bart Ehrman): Ehrman provides an excellent introduction to the practice of textual criticism and particularly its application to the manuscripts of the New Testament. In doing so, he exposes many later interpolations that were forged by Christians scribes seeking to twist the original words of the New Testament in order to serve various theological agendas. 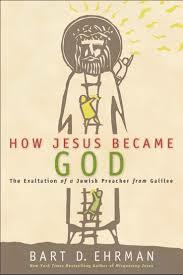 How Jesus Became God (by Bart Ehrman): C.S. Lewis once asserted that Jesus could not have claimed to be God, unless he was either a liar, a lunatic, or actually Lord (for a good rebuttal to Lewis’ trilemma, see here). 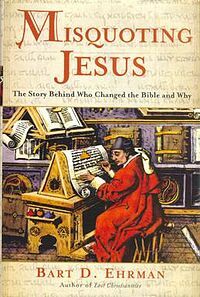 In this book, however, NT scholar Bart Ehrman not only explains how Jesus does not claim to be the equivalent of God the Father in the earliest traditions, but also provides a comprehensive case for how Jesus was eventually elevated to the status of God over decades and centuries of Christian theological disputes. 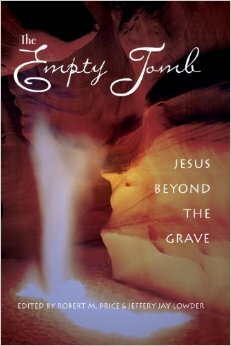 What is perhaps most useful about this book, however, is that Ehrman provides a plausible theory for how everything about Jesus’ alleged resurrection and subsequent deification as God can be explained in purely secular terms. Ehrman begins with the historical Jesus’ apocalyptic message and the circumstances behind his death, and follows this analysis with eloquent explanation for how Jesus’ disciples came to believe that he had been resurrected (including discussion of how this belief could have been easily caused by nothing but subjective experiences or hallucinations), and for how Christians in the following decades and centuries came to think of Jesus (in a variety of contradictory ways) as God, until the Nicene Creed (325 CE) was eventually agreed upon centuries after Jesus’ death. This book provides, therefore, a comprehensive secular account of Christianity’s origins, from a credible NT historian, all without appeals to the religious explanations that apologists use to assert that their religion could not have begun without a miracle and Jesus actually being God. 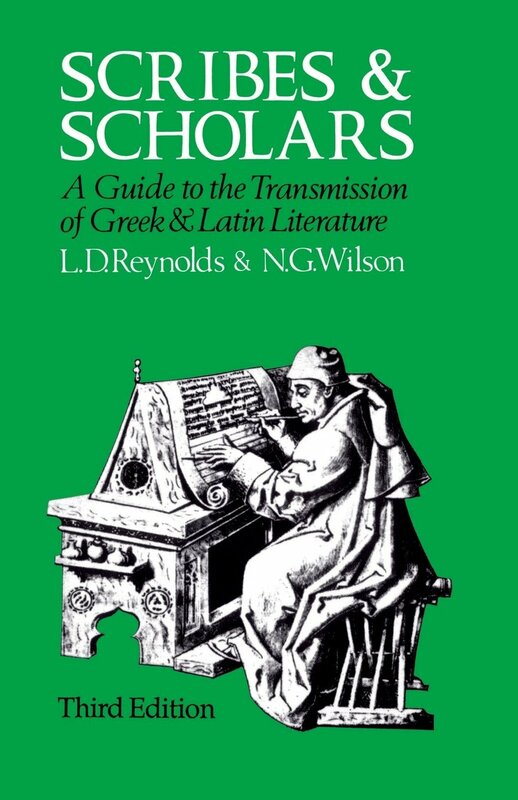 Scribes and Scholars: A Guide to the Transmission of Greek and Latin Literature (by Leighton Reynolds and Nigel Wilson): This book explores the practice of textual criticism, this time in the case of Pagan Greek and Latin works from antiquity (funny enough, with the same picture as Ehrman’s book on NT textual criticism above). Scribes and Scholars is rather dense and deals with a wide range of classical issues. However, the book is useful for explaining to apologists why there are more manuscript copies of the New Testament than other texts from antiquity. Reynolds and Wilson discuss the decline of the Roman Empire’s intellectual libraries and the dominance of Christian monks over the apparatus of textual transmission during the Middle Ages, which led to the loss of some of the greatest intellectual works from antiquity. Apologists are correct that we do not have as good of manuscript traditions as we would like for many of the Pagan literary works from antiquity; however, this disparity is due primarily to the intellectual decline of the Christian era, which did not fully appreciate or make use of the scientific, philosophical, and scholarly achievements of its Pagan predecessors. The End of Biblical Studies (by Hector Avalos): Biblical Studies is in many ways a problematic discipline, due to the fact that it tends to privilege the Bible as a unique set of texts, when in reality the biblical scriptures are only a few of the many texts that scholars study from antiquity. Accordingly, Biblical Studies scholar Hector Avalos argues that his own discipline has inflated the importance of the Bible in academia. Furthermore, Avalos argues that Biblical Studies has in many ways been corrupted by various agendas–from translations of the Bible omitting offensive vocabulary, to evangelical efforts to defend the inerrancy and miracles of the Bible, to even more theologically liberal seminaries trying to harmonize the the ancient world of the Bible with modern concepts like Feminism. Accordingly, Avalos argues that, in some respects, the current state of Biblical Studies has “run out of gas” and that the discipline needs to be reformed before it can be considered as reliable or authoritative as other disciplines (such as Classics and Near Eastern Studies) that study the same historical period. 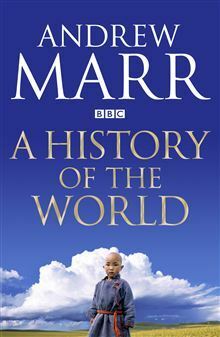 A History of the World (by Andrew Marr): This is not a book about skepticism, but it is a very interesting, entertaining, and comprehensive read discussing the history of the world all the way from the earliest humans down to the modern day. Marr concludes his history with modern examples of how computers are now starting to think almost as well as humans and with a list of economic and environmental challenges that we will face in the late-21st century. The Christian Delusion (by ed. John Loftus): In this volume editor John Loftus (former pastor and apologist) applies the “outsider test for faith” to see if Christianity can be rationally defended, not only by someone who already believes in the religion, but by an outsider who have no special bias in favor of defending its core claims. With a selection of essays from PhD scholars in their respective fields, The Christian Delusion argues that religious indoctrination creates blind spots that prevent people from seeing the evidential gaps and logical inconsistencies in their Christian faith. The topics covered include the cognitive origins of religious belief, the primitive cosmology of the Bible, the moral depravity of the Judeo-Christian God, and the failed apocalyptic prophecies of Jesus and the earliest Christians. The authors of this volume conclude that, far from having a claim to divine truth, Christianity can ultimately be shown to be a human-made superstition. This is a great introduction to counter-apologetics. The End of Christianity (by ed. John Loftus): Like The Christian Delusion, This volume includes a selection of essays from philosophers, scientists, anthropologists, and historians who provide counter-arguments to religious apologetics and who seek to expose the evidential dearth of Christianity, as well as religious belief more broadly. The topics covered include the inconsistent theology and teachings of Christianity across multiple splintering denominations, refutations of apologetic attempts to prove the miracles of Bible, the improbability of cosmological design arguments, defending secular ethics, and religion’s incompatibility with science, among others. Another great survey of counter-apologetics. 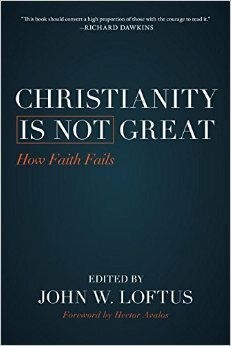 Christianity Is Not Great (by ed. John Loftus): This is the final volume in Loftus’ three-part critique Christianity–the world’s largest practiced religion today. The essays in this volume provide an extensive catalog of Christianity’s negative effects in both history and the present. Normally, I do not like to critique Christianity on the grounds of religious damage and violence, since I think that the religion can be doubted on purely rational and evidential grounds alone. But, the best part of this book is that Loftus’ two earlier volumes (seen above) have already deconstructed the intellectual foundations of Christianity. The authors in this volume identify a number of negative effects of Christianity–including its damage on our critical thinking, its crusades and persecution of witches, its historical support for slavery, its bigotry against women and gays, and its damaging effects on our culture today. A handy resource for addressing a wide range of issues. C.S. 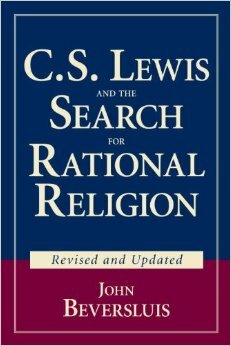 Lewis and the Search for Rational Religion (by John Beversluis): World-renowned apologist C.S. Lewis was a master at creating false dilemmas, whether it be “Jesus must have been a liar, a lunatic, or Lord!” or “If naturalism is true, then morality is nothing but a matter of opinion!” or “Either God designed my mind for thinking, or my reasoning is as random as milk splashing out a map of London!.” What Lewis demonstrates by framing his arguments in terms of false dilemmas is that the only way to make Christianity seem plausible (an ancient belief based on a man magically rising from the dead, which predicted an apocalypse in the 1st century CE that never happened, and was spread by an evangelist from Tarsus who believed literally that God lived in the sky) is by setting up a straw man against every alternative belief, so that no matter how antiquated and bizarre Christianity might seem, we simply have to accept the ancient religion as the only plausible option. However, professional philosopher Beversluis takes the time in this book to explore all of the alternative avenues that Lewis fails to mention or consider. In doing so, he shows what real atheist and naturalist thinkers have to say about issues such as the historical Jesus, secular morality, and the nature of reason, and demonstrates how Lewis’ oversimplified slogans and caricatures of atheists/naturalists fail to hit the mark on all of them. This book does an excellent job of re-educating, by unpacking all of Lewis’ bad reasoning and false dilemmas, and instead replacing them with thoughtful philosophical analysis, which demonstrates how Lewis’ search for rational religion was little more than a wild goose chase. The Jury Is In: The Ruling on McDowell’s “Evidence” (by ed. Jeff Lowder): For over four decades, Josh McDowell’s ETDAV has been misinforming laymen, spawning oversimplified slogans, such as “liar, lunatic, or Lord,” and ultimately dumbing down the historical problems of the NT merely to sell an after-the-fact rationalization to a built-in Christian audience. This collection of essays edited by Jeff Lowder provides a chapter-by-chapter refutation to all of McDowell’s “evidence.” The jury is in, and the authors of this series provide serious research and arguments to show the many and fatal shortcomings of McDowell’s apologetics. 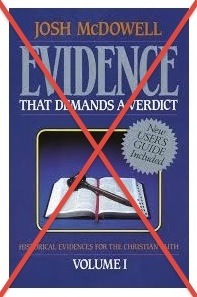 Since McDowell is one of the most famous and heavily read apologists on the market, the authors of this book refute many of the most common apologetic slogans out there, adding clarity to the issues and showing how there is no evidential reason to believe in the mythology taught by Christian scriptures. The Case Against The Case For Christ (by Robert Price): As someone who studies ancient history, I can confidently say that reverend Lee Strobel’s The Case For Christ is one of the most egregiously flawed and horribly misrepresentative books to ever misinform the public on how real ancient history works (see my own review of Strobel’s book here). Nevertheless, I have mixed feelings about Price’s response in this book. On the one hand, Robert Price is the only NT scholar that I am aware of who has written a book-length refutation of Strobel. On the other hand, Price ascribes to a number of views in this book that I do not agree with (most notably, Price’s denial of a historical Nazareth on pp. 122-124 and his argument for a Post-Pauline interpolation in 1 Cor. 15:3-11 on pp. 233-236). Nevertheless, this book does provide a decent summary for countering a number of Strobel’s arguments about alleged eyewitnesses in the Gospels, the alleged prophecies that Jesus fulfilled, and arguments for the resurrection. In addition, there are a number of interesting insights about the apologists that Strobel is interviewing, and some amusing witticisms from Price. There is another book-length rebuttal to Strobel–Earl Doherty’s Challenging the Verdict–however, it is written by a Mythicist and layman, and has many of the same problems. For more general reviews, you can see Jeff Lowder’s “The Rest of the Story” and Paul Doland’s website, Case Against Faith, which provides detailed critical reviews of Strobel’s other “Case for…” apologetics books. Between all of these resources, I think that most of the problems in Strobel’s book are dealt with, but I cannot endorse all the positions taken by each author. I hope that a book-length response can be written by a more mainstream Classical/NT scholar at some point in the future. 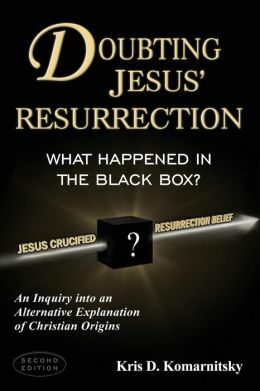 Doubting Jesus’ Resurrection: What Happened In Christianity’s Black Box? (by Kris Komarnitsky): This is a great read for laying out a plausible and well-defended case for how Christianity could emerge without a miracle. Although not a professional scholar, Komarnitsky engages with some of the top historical Jesus studies and creates a powerful and well-researched case for rejecting the resurrection. The quality of research in this book is such that it has been recommended by a number of mainstream biblical scholars. For example, James McGrath remarks, “Although Kris is not a scholar by profession, his treatment of both primary and secondary sources is certainly such that even someone who is a historian or New Testament scholar by profession will benefit from thinking about and interacting with his discussions.” And Richard Miller likewise states, “Don’t be put off by the fact that Komarnitsky is not a scholar–his book makes a solid contribution to the historical-critical understanding of these immensely important texts.” As such, I would consider Komarnitsky’s book to be of scholarly caliber. What is most useful about it is that the book summarizes a lot of NT research in a readable, monograph form, making it especially helpful to a general audience interested in learning secular explanations of the origins of the resurrection belief. 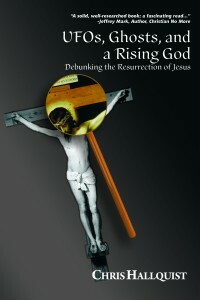 UFOs, Ghosts, and a Rising God: Debunking the Resurrection of Jesus (by Chris Hallquist): Chris Hallquist’s educational background is in philosophy, and not ancient history, but the primary value of this book derives from his situating of the evidence for Jesus’ resurrection alongside that of other paranormal hoaxes, such as claims made about UFO abductions, psychic predictions, and modern miracles today. Hallquist grounds his central historical premises in the book in the scholarship of NT experts like Raymond Brown and Bart Ehrman, making his arguments generally consistent with mainstream NT positions. From there, however, Hallquist introduces a number of great arguments and examples pertaining to the weakness of testimony-based evidence when dealing with paranormal reports across a wide range of phenomena. The Secular Web: Bruce Lawrence, the Nancy and Jeffrey Marcus Humanities Professor of Religion at Duke University, states that the Secular Web is “hard to top” for “thoughtful material, extensive networking, and interdisciplinary flair.” This online database provides a litany of articles on a wide range of subjects pertaining to to scientific, philosophical, historical, and cultural issues at the heart of the debate between atheism and theism, and naturalism and supernaturalism, as well as critiques of multiple world religions. What is especially commendable is that the Secular Web provides this extensive resource all through open-access, and is supported solely through donations. You can check out their blog here as well. Through this extensive internet database, I have become familiar with many of my favorite skeptical authors and scholars. This is a great resource that served as part of the inspiration for why I chose to create a resource here as well on Κέλσος. 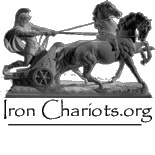 Iron Chariots: This is a good introductory resource that compiles nearly every apologetic argument out there and provides summaries for rebutting each. Nevertheless, as a wiki, Iron Chariots is only of limited reliability and depth. 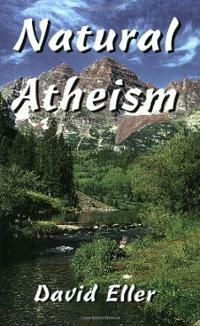 But, it still serves as a good starting point for becoming familiar with the counter-arguments to theism and religion. Furthermore, Iron Chariots is also great for finding rebuttals to some more obscure apologetic arguments, as it is a growing database that works to rebut nearly every random justification people have made in the course of history for believing in invisible gods and ancient religions. Talk Origins: I do not normally deal with the scientific side of counter-apologetics, since my academic background is centered more in history, philosophy, and the humanities. To see a full rebuttal to creationism, intelligent design, and the other pseudo-scientific attempts to sneak magic into science, I highly recommend this site. 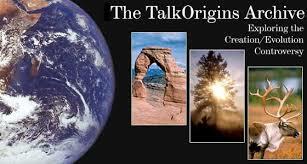 Talk Origins is managed by experts and deals with a comprehensive range of issues. Whenever you get a creationist pretending to know something about science, you can almost always find a full rebuttal to their talking points in the Talk Origins archive. While I do recommend all of the resources above, it should not be assumed that I necessarily agree with every argument and position stated within them (some of my points of disagreement are noted in the reviews). Furthermore, while a couple of the authors listed above advocate the Christ Myth Theory, none of their works that I have recommended are directly related to this issue and all of them are compatible with the assumption of a historical Jesus.